This weeks Photo Wednesday was taken in Cheongna, which is in North West Incheon. 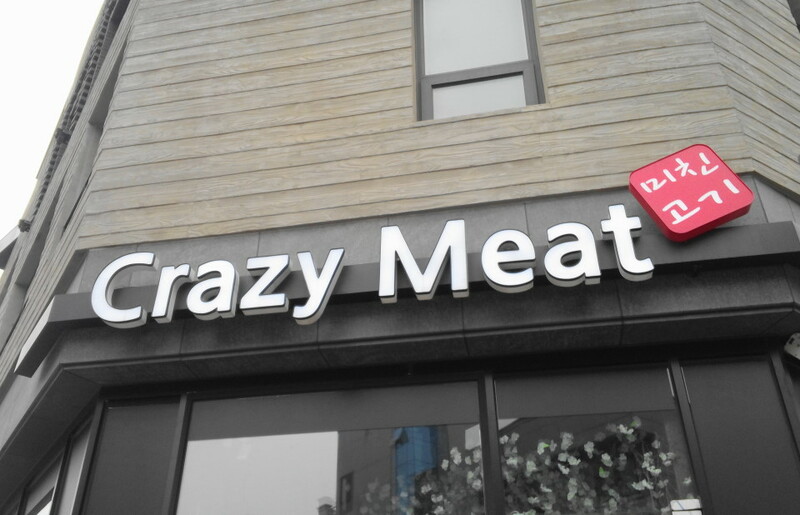 It’s of a strangely named Korean Barbeque restaurant called “Crazy Meat” or 미친 고기 in Korean. For many when you hear the words Crazy and Meat together you think of Mad Cow Disease, and not a family BBQ restaurant. 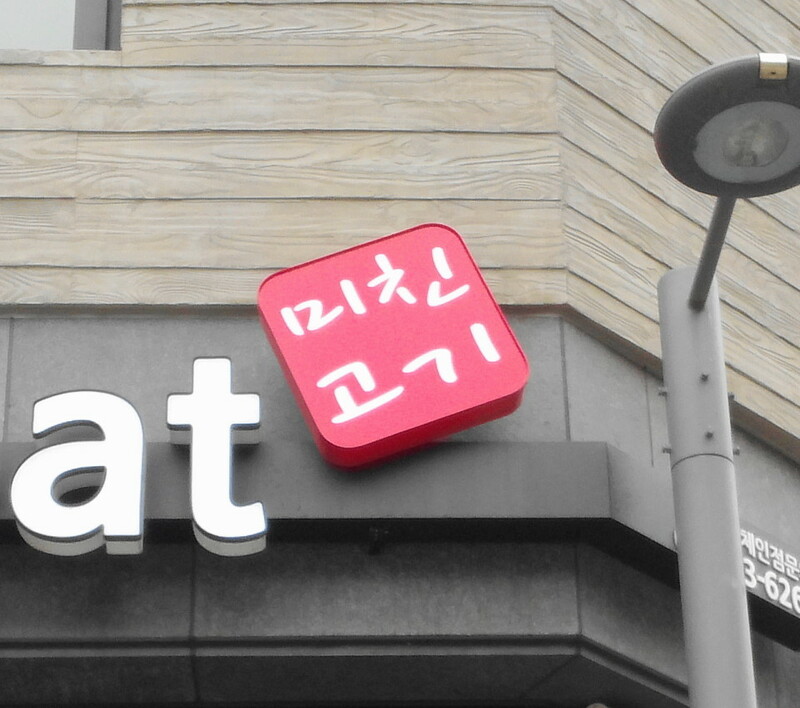 However this place is just a normal Korean Restaurant place which in fact does have some crazy good looking offers :). Certainly some interesting branding. Last weeks Photo Wednesday – “Big Korean Cherry Blossom Tree” can be found HERE.